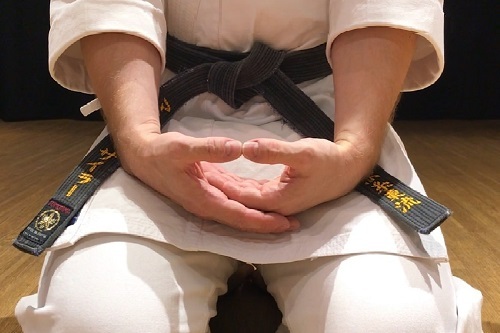 Meditation is key in Karatedo, no matter if you're following your daily practice or if you fight for your life. As long as you think, you will not be very efficient during your daily practice and you're not up to the speed of a Karate fight. If you're in a fight and you start to think, you're lost. If you're doing your daily practice and you loose your awareness and attentiveness, you no longer practice, you're lost in space. The speed of a Karate fight does not give you time to think, does not allow following thoughts and fade away. 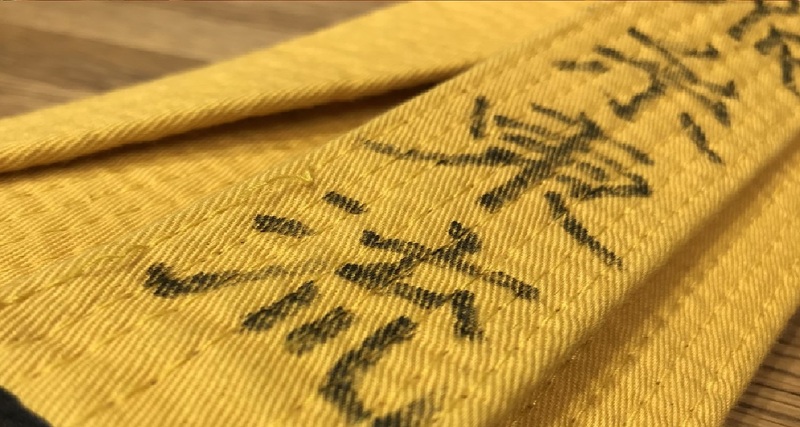 To be able to do your daily practice efficiently, to cope with the speed of a Karate fight, you need to move from your medulla, your spinal cord, as if your doctor hits your knee with a hammer. So, make sure, there are no thoughts. But how ? If you're used to meditate, you won't be disturbed by thoughts, not during your daily practice and not in a fight. But how can I get rid of my thoughts ? Well, we can't get rid of our thoughts just by thinking "I don't want to think", but we can choose to either give attention to the thoughts, follow our thoughts and fade away, or just see thoughts coming up and right away see them fading away just like clouds moving at the blue sky, as long as we're not following these thoughts. By this, we become the blue sky instead of the cloud. The mind is "empty mind", or "mu shin". In other words, we have a "monkey mind", busy like a cloudy sky, but we can either completely let go monkey mind or - an easier approach - give the monkey mind something to do. So, beginners often stare at a flame in a dark room to keep the monkey mind busy, or just observe the breath, observe air coming in and observe air going out. There's nothing more to do but to "be in" and observe. As long as we're not used to meditate, we have difficulties to come back to such routines or restart such routines when ever we get lost. If you get used to meditate, you can come back to such routines at any time and keep them going for hours without getting lost. If you get used to the state of meditation, you stay connected with yourself, don't loose yourself anymore. Your awareness is continuous. Your awareness has become a continuum ! Now, you can stay completely relaxed in your fight. Your body will do what there is to do. 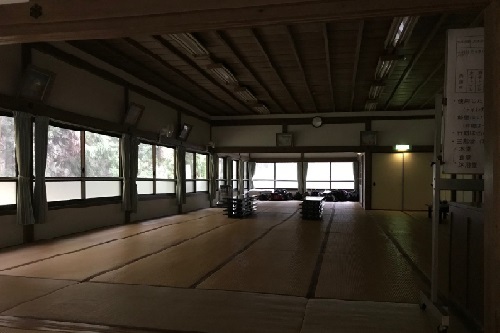 Well, there are several routines and there are several breating techniques, plus there is a set of body work in Naha-te to achieve that state of meditation. 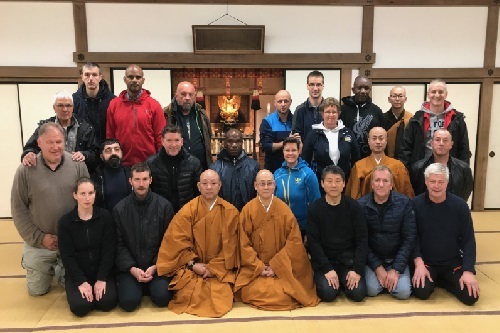 Come to our classes and follow our routines and you will be amazed how much the routines of daily traditional Karatedo will change your life, change your mind, change your breathing, change your emotions, change your being. As long as we keep up the good work, we will enhance our potential and let's be honest, there's no limit as long as we don't limit ourselves. 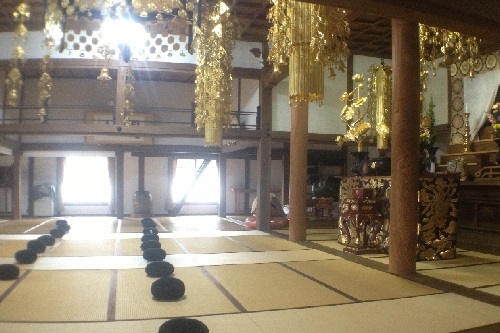 When visiting Chief Monk Minamoto of ZEN Buddhism at Hieizan on Mount Hiei, he uses to say: "ZEN and Karatedo are one". The result of our good work of our daily practice is the same. Mu Shin, empty mind, health and happyness.